Dr. Ben Paxton graduated the medical school from the Johns Hopkins University School of Medicine and soon after that he did his internship at the Carilion Health System. He completed his residency program at the Duke University Hospital and is now specialized in radiology and also board certified in diagnostic radiology and vascular & interventional radiology. 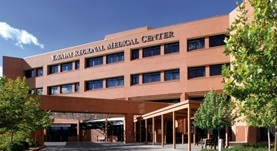 Dr. Paxton has been practicing medicine for more than 6 years and is affiliated with the Yavapai Regional Medical Center. During his career, he has also contributed to several publications of medical interest.